I want everything to have a place. Of course this is super difficult with kids. I feel like they are clutter magnets! While I’m trying to teach them how to clean up after themselves, they are still a little young to fully grasp this concept. So I will continue to organize to try to cut down on the clutter and help them to understand that everything has it’s place! I don’t have a mudroom right now, but I absolutely love the idea of a mudroom. A place to store your shoes and coats so that they are readily available to you when you want to go out. I have an area by the front door that has been hacked to be a mudroom though. Just a coat rack and a basket for our shoes. The kitchen is a unique room of the house that gets cluttered so easily! It’s probably because so much has to fit into such a small area. And is like the command center for the whole house. I know my fridge and pantry gets so clutter-y, so quickly. Especially if you have a small pantry like I do! But these pantry tips help so much in keeping a pantry well organized! Right now I shove all of my gift wrap in boxes and under my bed. But this gift wrap organization is so much better! I had such a hard time with baby bottles until I found this organization using an Ikea rolling organizer. The bathroom can be such a hassle to organize. 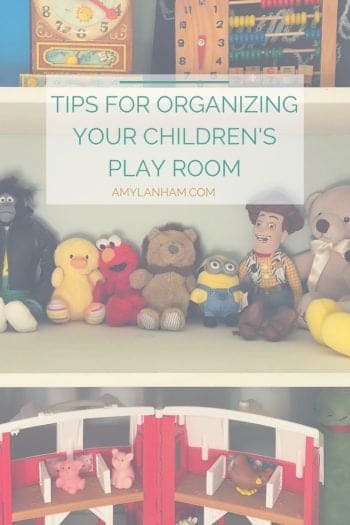 I don’t know about you, but if I don’t have a clear organizational system for my kids room their toys quickly get out of control! Having specific places for all their things has helped so much! Kids crafts are definitely a weakness of mine. I want to keep them all but never know quite how to keep them. I also have a problem figuring out how to store my craft projects that are still in progress. I tend to have a lot of half-finished craft projects lying around the house! Finally, why not use vintage finds to organize your house. 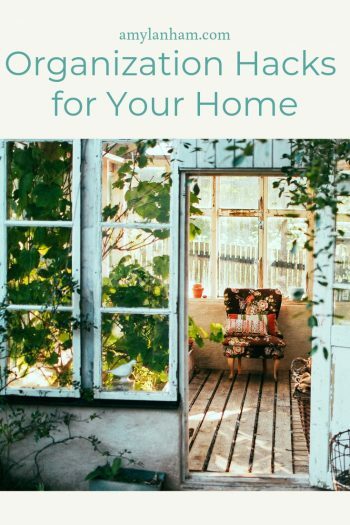 I love the idea of using found items rather than going out and buying new! What is your favorite way to organize?